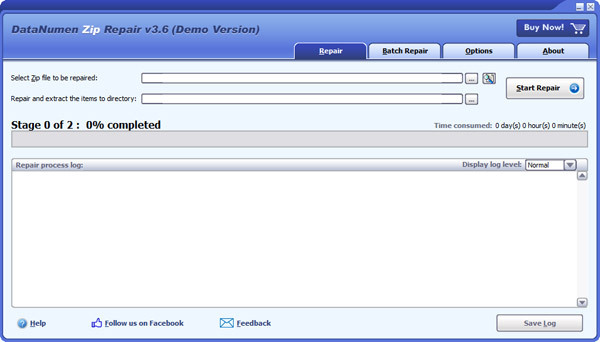 DataNumen Zip Repair (DZIPR) is a powerful tool to repair corrupted Zip files and Self Extracting(SFX) files. It can scan the Zip archives and recover your data in them as much as possible, so to minimize the loss in file corruption. DataNumen Zip Repair (DZIPR) (formerly Advanced Zip Repair) is a powerful tool to repair corrupted Zip and self-extracting(SFX) files. It can scan the Zip archives and recover your data in them as much as possible, so to minimize the loss in file corruption. Currently DZIPR can fix all sub-types of Zip files and all kinds of self-extracting files, also it will extract recovered items in the fixed Zip or SFX archive. Reduce the file size of JPEG, GIF, TIFF, PNG, BMP and EMF images, pictures and photos by up to 98% while retaining the quality. The optimized photos are much smaller, ideal for sharing on Facebook, Flickr etc. or e-mail. No zipping necessary. Based on the Delphi-Zip library and coded by Ccy for S2 Services, this simple command line unzipper offers the advantage of not requiring command switches. Commands are interpreted according to argument order. Compress your PowerPoint files in 2 single steps. No more hassle sending those big presentations to your customers. No need for receiver to run additional software to view the compressed files. PowerShrink leaves all PowerPoint functionality intact.